There are many unique facets of travel. From traveling on a shoestring to luxury travel and everything in between, the acceleration of collaborative consumption has paved the way for businesses and people alike, completely revolutionizing the travel economy. Startup businesses are finally finding their footing in the shared economy and becoming a dominant force in the corporate world. One of the companies that stands out amidst a miasma of startups is Villaway, a short-term rental marketplace that seeks to equate luxury with accessibility. Villaway is an umbrella platform for certified and vetted luxury property managers to host and showcase their finest inventory, from around the world. It allows users, whether agents earning a commission or direct consumers, to inquire and shop directly with our destination experts, who are local to the travelers destination, while conducting transactions through a safe, secure booking, processing, and payment platform. As opposed to most online rental marketplaces, Villaway offers a unique array of services that go above and beyond simply finding a place to sleep. 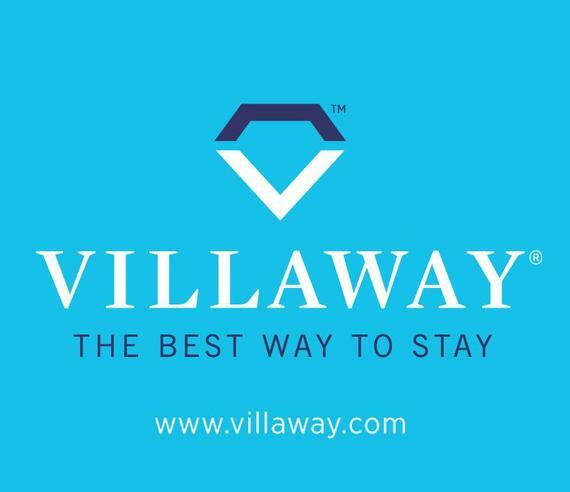 In addition to the more than 5,000 luxury vacation villas in over 100 world destinations, the Villaway platform also includes concierge services, villa meet and greets upon arrival, airport pickups, private chefs and catering, private masseuse, and access to local events and activities. Planning a trip can be time consuming and even stressful, but the Villaway platform aims to make the planning process as relaxing as the trip itself. Diverging from the standard agency model by switching to a transactional digital platform allows the company to create a highly accessible marketplace. This new archetype is catered to high-end properties where travelers and homeowners unite for commerce and is unrestricted by the burden of high commissioned agencies. Villaway also provides a special suite of tools for travel agents, concierge companies and other rental agencies to book villa vacations for their clients and earn industry rate commissions. Another example of the symbiotic model created by Liebke. "Consistency of quality experience is the key that our clients count on," states Liebke. As world traveling becomes more desirable and even more accessible, this platform will see a meteoric rise in success upon its official launch in August of 2015. "Speed is life. People are realizing their money can go much further than a 600 square foot hotel room and we've expedited our initiatives with Villaway to deliver affluent travelers what they want," Liebke reveals. "There's more privacy, more luxury and, most important, the unique feeling of being at home wherever you go when you stay in a private villa. If a group of friends or an extended family go on a holiday, most likely they'll want to be together, not two floors up and twenty doors down from each other." The magic of travel is one that has no price tag, but for those who can afford to get the most out of their experience, Villaway is a perfect match. A seasoned and humbled traveler himself, Joe Liebke endeavors to turn people's travel dreams into realities. Supporting this company is supporting real, honest, life-loving individuals. The client is the final ingredient in Villaway's exceptional business recipe.